You may already consider your smartphone or e-reader an extension of your person, but a literal second skin? Don’t perish the thought just yet. Researchers at Nokia and the University of Cambridge are developing a flexible circuit board that yields to your epidermis like a…you guessed it. 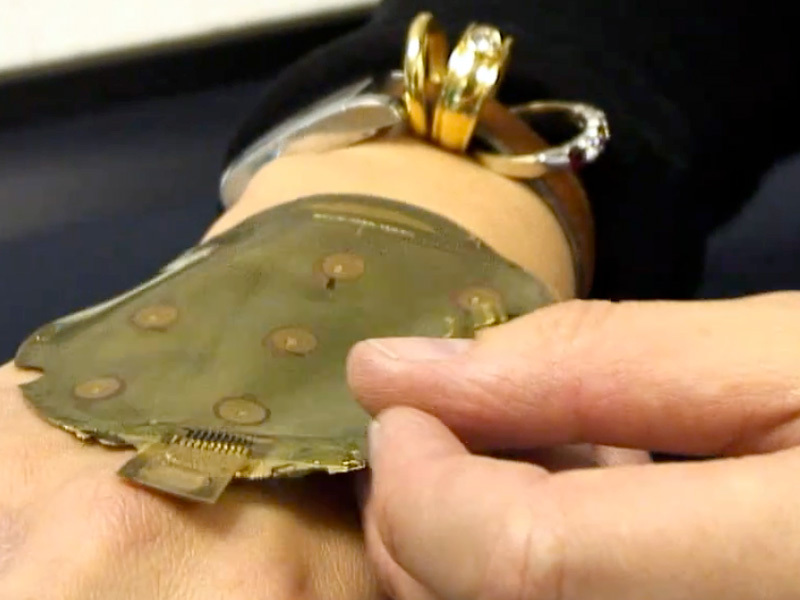 The electronic skin, which includes a touchpad, responds to touch and pressure even when it’s pulled like a piece of gum. In fact, the material can be stretched to up to 20 percent of its original length without losing a lick of performance. Fully actualized, the stretchy skin could spell the end of bulky, immutable devices, as well as usher in a new generation of high-tech clothing and accessories. Gadget-heads of the future could be interacting with their electronics at a far more intimate level. “What is solid and known to us right now, could be flexible and entirely different in the future,” notes the official Nokia blog. You may already consider your smartphone or e-reader an extension of your person, but a literal second skin? Don't perish the thought just yet. Researchers at Nokia and the University of Cambridge are developing a flexible circuit board that yields to your epidermis like a...you guessed it. The electronic skin, which includes a touchpad, responds to touch and pressure even when it's pulled like a piece of gum. In fact, the material can be stretched to up to 20 percent of its original length without losing a lick of performance.